The U.S. Senators from Iowa and Nebraska have introduced legislation they say would honor an Iowa woman who was killed in an accident with a drunk driver who was in the country illegally. Twenty-one-year-old Sarah Root Council Bluffs, Iowa was struck and killed in Omaha by Eswin Mejia, who entered the country illegally and was drag racing and drunk at the time of the accident. Mejia fled the country after federal Immigration Customs Enforcement officers declined to hold him following his arrest. Iowa Senator Joni Ernst says they want to be sure that doesn’t happen again. “Sarah’s Law would close this gap that we have existing right now and it would require that ICE issue a detainer — they would detain any illegal immigrant who has cause serious bodily injury or death to a citizen,” Ernst says. Iowa Senator Chuck Grassley says the Obama Administration has been lax in enforcing immigration law. “This legislation must correct for the shortcomings of this administration not adequately enforcing the law. If the law was enforced the way it was and they had priorities of people killing other people taking them into custody, this person would not have been out on the street and would not have absconded in this particular case,” according to Grassley. Grassley says the four Senators have sent a letter asking Homeland Security for information on Mejia to help in tracking him down. “And you know what we got back? We got back that the Privacy Act prevents them from answering our questions or giving the information to Sarah Root’s family,” Grassley says. ” First of all, the Privacy Act does not apply to illegal aliens.” He says the Privacy Act also does not apply to aliens in the country legally and for information requested for an Congressional investigation. All four of the Senators are Republicans and Nebraska Senator Deb Fischer was asked if they will be able to get support from Democrats for the bill. “I would say I certainly hope to see bipartisan support with this legislation. I think it is something that all senators can agree upon, that laws should be enforced. And that families deserve to have accountability when they have a loved one injured or killed in an incident of this kind,” Fischer says. 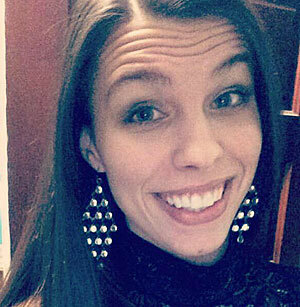 Sarah Root was killed on the night of her graduation from Bellevue University She had a 4.0 grade point and wanted to go on and earn a master’s degree in criminology.